A new kind of happy hour is hitting Pepsi Center this season - The Nuggets Night Out! One ticket and one drink, one low price! 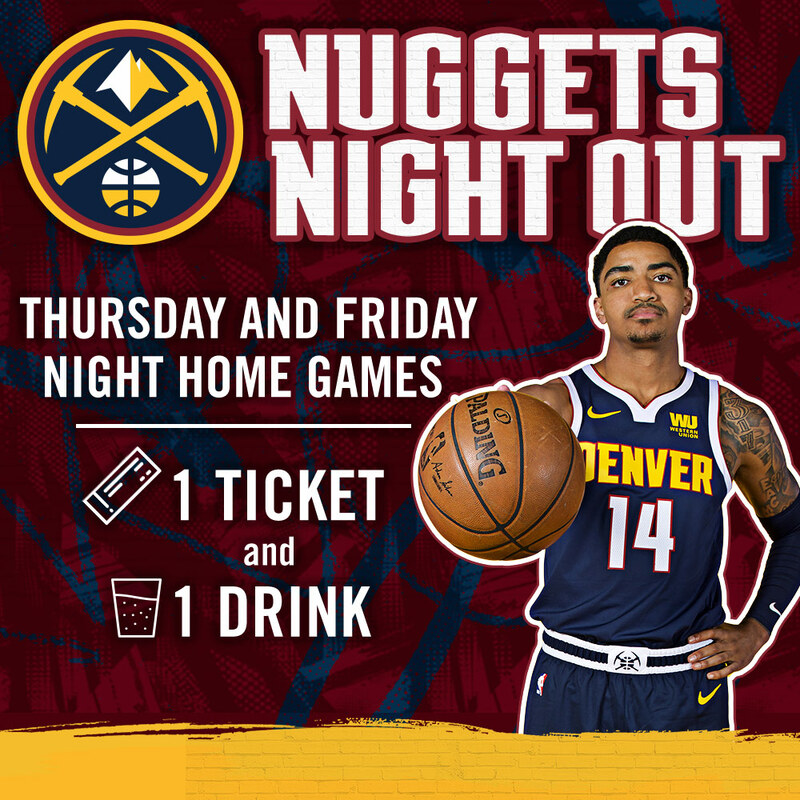 Lock in your Nuggets Night Out package today! and get one ticket and one meal for one low price! 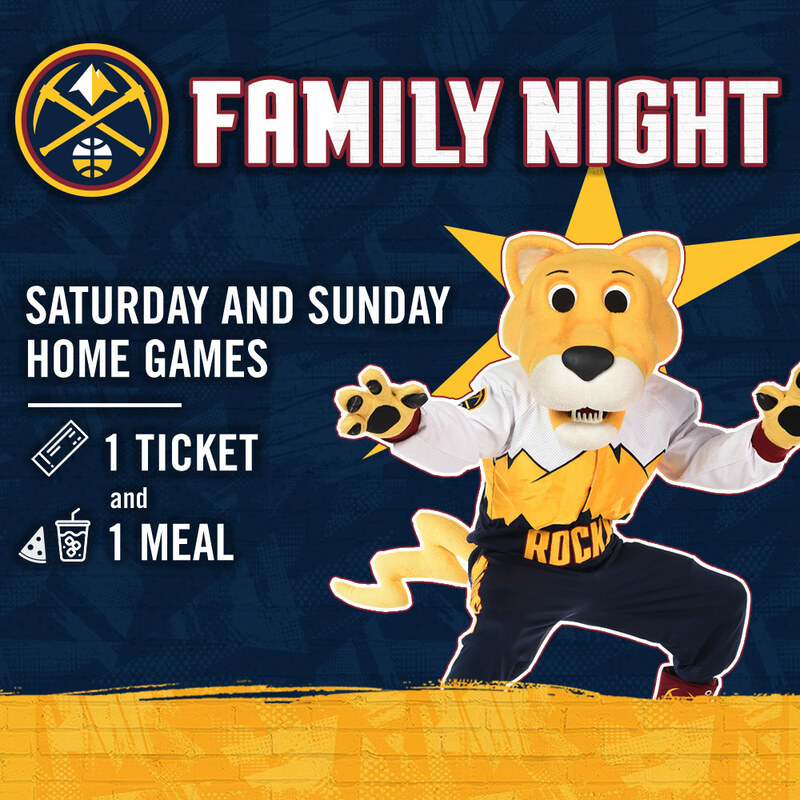 Grab your Family Night package today! Be a part of Mile High Basketball! 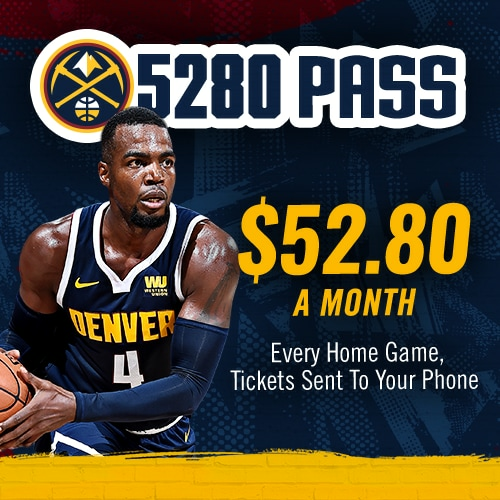 Receive all Nugget home games in the month for only $52.80 per month!